Recently, The Outlaw Urbanist published the article “Top 10 ‘Must See’ Films for Architects and Planners” with reference to the influence of the built environment on film-grammars in support of cinematic narratives. 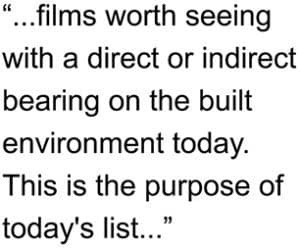 However, there are other films (especially documentaries) worth seeing with a direct or indirect bearing on the built environment today. 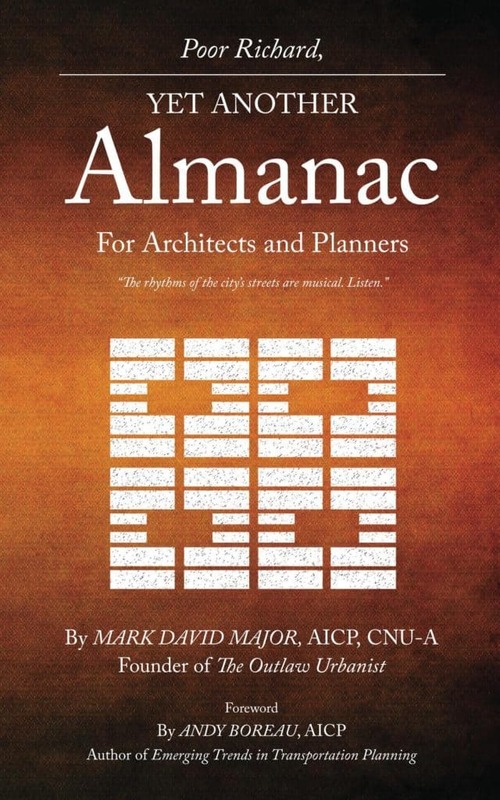 This is the purpose of today’s list of ‘must see’ documentary films for architects and planners. 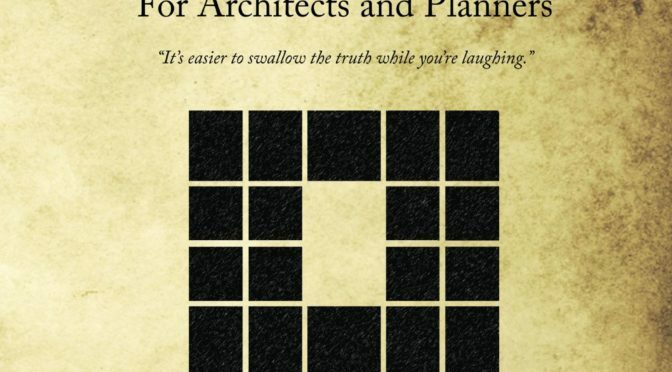 There are a lot of documentary films dedicated to specific architects. Most are vanity projects built on the ego of said architect, which lack much universal application for buildings or cities. You will not find such films on this list. The purpose of this list is value. What is informative and worth your time? 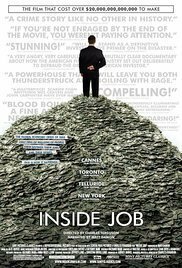 If you are well-informed, then there are interesting nuggets of information buried in the 2010 documentary Inside Job directed by Charles Ferguson with narration by Matt Damon (one of my favorite actors) about the housing crash and 2008 Financial Crisis. However, if you are uninformed or only casually acquainted with the facts (see below), then Inside Job is dangerous apologia propaganda for the left’s complicity in the cataclysmic events costing millions of people their jobs and homes. No one should be allowed to watch this film without first reading The Big Short: Inside the Doomsday Machine by Michael Lewis. Damon, his wife, and four daughters lived in an 8,890 square foot home (1,778 SF per person) in southern California at the time of filming. Yeah, sorry Matt, that’s being part of the problem, not the solution. 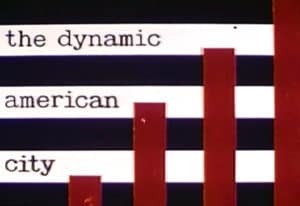 This 25-minute 1956 educational film created by the U.S. Chamber of Commerce is worth viewing for contradictory reasons: 1) it gets everything wrong about vibrant urbanism; and, 2) it is a propaganda masterpiece on par with Leni Riefenstahl’s Triumph of the Will in using associative and dis-associative imagery and narration to hammer home its central message of ‘building up and out’ (it is right there in the Intro graphic) for making fast money in real estate built on the twin premises of slum clearing and suburbanization. If Joseph Goebbels had been an American developer, he would have been proud. For anyone with an ounce of common sense, it is like watching a car crash in real time: horrifying but you can’t take your eyes off it. Do you want to live in old stables or “on the frontier”? 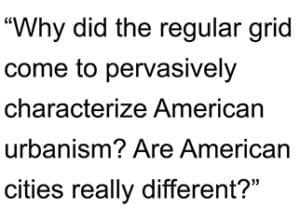 Even today, some Americans refuse to let go of the Big Lie in this film. You can watch it on YouTube here. These aren’t documentaries but dramatized accounts about the housing crash and 2008 Financial Crisis. Nonetheless, they are well done, littered with nuanced performances, and even-handed in providing public and private sector perspectives about events. They successfully manage the herculean task of being both entertaining and informative. 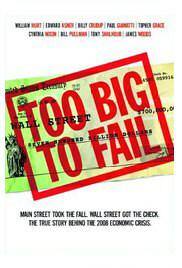 Too Fail to Fail (2011) centers around Treasury Secretary Henry Paulson’s (William Hurt in an outstanding performance) actions to advert another Great Depression. 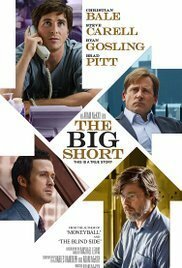 The Big Short (2015) centers around a few people (all strong performances from Christian Bale, Ryan Gosling, and Steve Carell) in the financial sector who saw the approaching cliff, bet against the housing market and banks, and won big though not without a great deal of stress while encountering record levels of stupidity along the way. The latter is based on Michael Lewis’ The Big Short: Inside the Doomsday Machine, which we also thoroughly recommend. 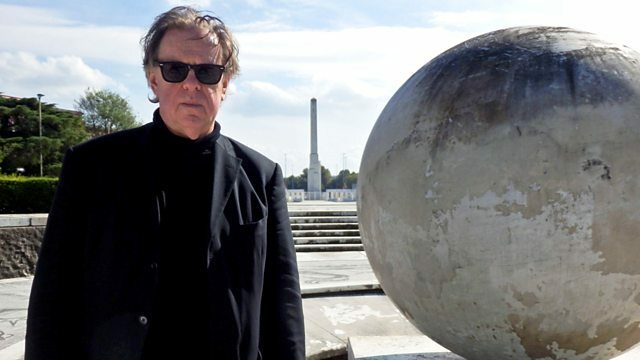 Part of Jonathan Meades’ (above) series of BBC Four documentaries (Jerry Building and Joe Building aka Nazi and Stalinist architecture, respectively) about architecture and planning under totalitarian regimes of the early 20th century, Ben Building: Mussolini, Monuments, and Modernism (2016) is the best in terms of quality and quantity of material. Simply put, Italian architects under Mussolini were doing much more interesting things in terms of design, which leads Meades to more even-handed commentary about his subject. The other two documentaries are worth seeing. 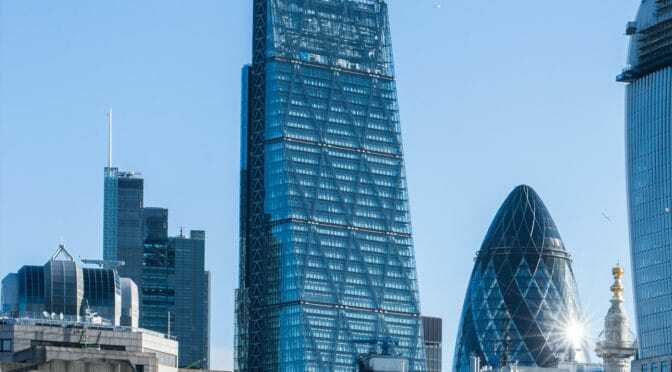 The first suffers from a lack of existing/built examples (and typical British vitriol about all things German; Nazi or otherwise) and the second (Soviet) from an excess of questionable architectural taste. You can watch Ben Building on YouTube here before the BBC files a copyright infringement claim. 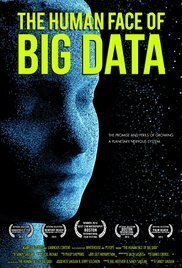 This is a wide-ranging PBS documentary about the applications and implications of Big Data in the 21st century. As such, The Human Face of Big Data (2014) concentrates about half of its 56-minute running time on issues pertinent to cities, e.g. mapping social-economic data, Smart Cities, consumer tailoring, etc. Some of the researchers are missing – or fail to comment on – the obvious. 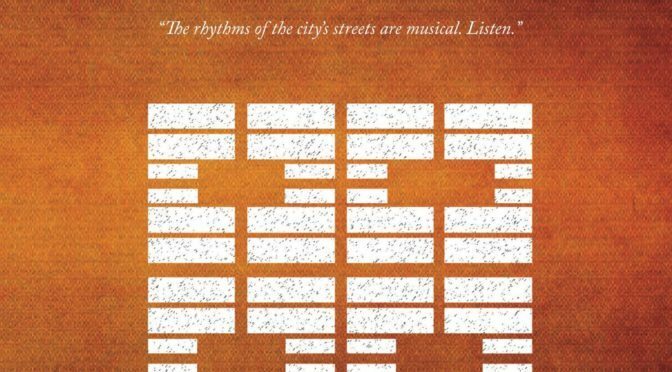 For example, the documentary briefly shows data mapping of repeat offenders in Brooklyn NY, which is clearly mid-20th-century public housing to anyone familiar with Modernist building footprints. While it does not offer any definitive answers to the deeper questions raised by Big Data, it is still a useful exercise in asking questions about what it all might mean for you and our cities in the future. Watch the trailer below. 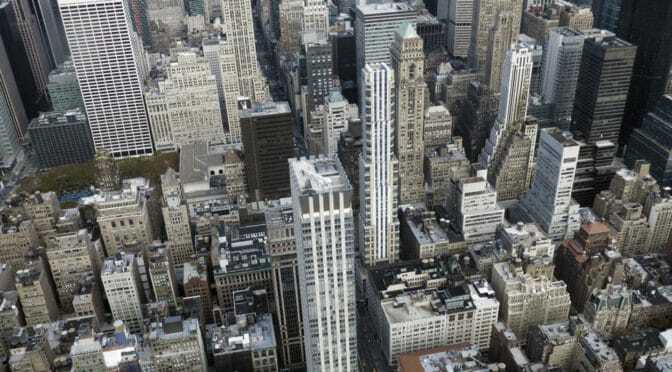 This is one episode in the 4-part series of PBS’ Super Skyscrapers (2014). The other episodes are interesting (mostly for their overkill in terms of design and engineering). 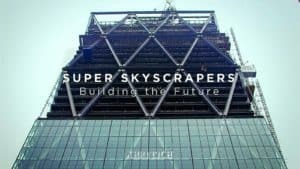 However, this episode about the Leadenhall Building in the City of London designed by Rogers Stirk Harbour + Partners is a brilliant explanation about the way cutting-edge computer modeling and manufacturing processes are dramatically changing the construction industry in the 21st century. Due to the constrained site, every piece of this building was manufactured offsite and then transported in a precise order for assembly on-site, i.e. no concrete pour. The hydraulic shifting of the building by a few degrees into a vertical position is an especially jaw-dropping sequence. Watch this episode on YouTube before PBS files a copyright infringement claim here. 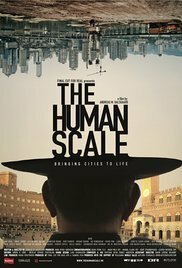 This 2012 documentary is nominally about thinkers, architects, and urban planners discussing ways to increase human interaction in cities but, in particular, The Human Scale (2012) is about Danish architect Jan Gehl’s teaching and research about urbanism over the last four decades. 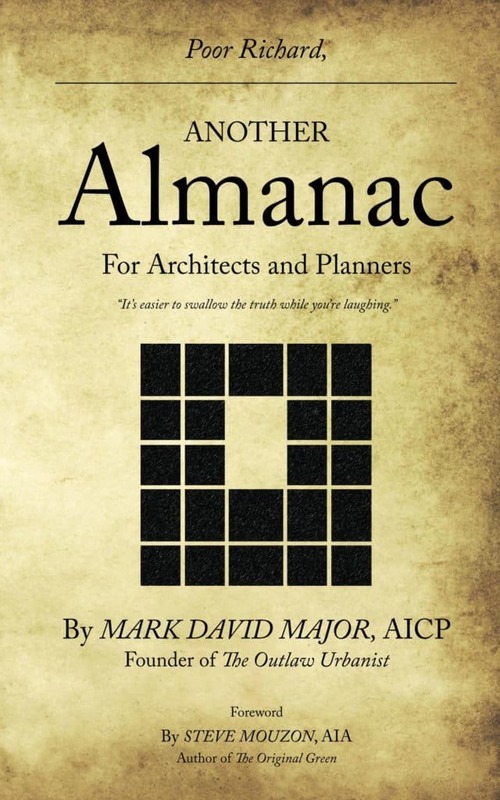 In this, it veers a little too closely sometimes to the ‘myth of the architectural genius’ folie associated with most architectural documentary films. Ignore the hero worship and listen to what is being said about people and cities. 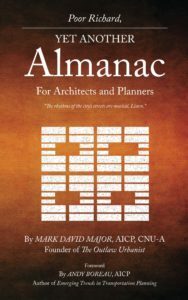 There are plenty of common sense ideas and solutions contained in The Human Scale, which makes it must-see viewing for architects and planners. 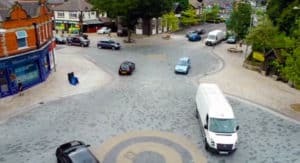 This short 15-minute film features urban designer and movement specialist Ben Hamilton-Baillie explaining the existing, seemingly intractable traffic, pedestrian, and land use problems in the village center of Poynton, England. Then, he outlines a new, radical plan for a Shared Space design concept in the village center. Plan implementation and construction is a great success, though not without a lot of skepticism along the way. 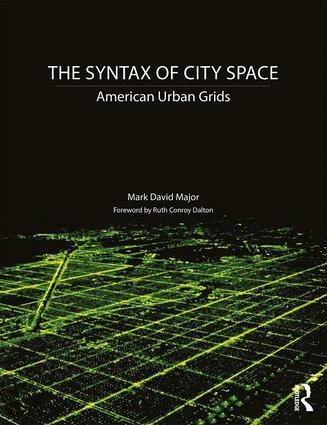 The film is good at explaining the basic premise of Shared Space, which is if you design for people being stupid, then they will tend to act stupid but if you design for people being smart, they will tend to be smart in self-regulating urban systems. A good measure of this film’s success is the way-out-of-proportion fear it has provoked in reaction. You can watch Poynton Regenerated on YouTube here. There were several issues (racism, regulatory failures, design and planning flaws, demographics, suburbanization, and so on and so on and so on) involved in the demise of the Pruitt-Igoe Public Housing Complex in St. Louis, Missouri, which led to its famous televised demolition in 1972. This 2011 documentary does a good job covering many of them. The testimony of former residents is enlightening, especially if you listen with a keen ear about their experiences in spatial terms to better understand how architectural design/planning played a role in the social malaise at Pruitt-Igoe. You do need to be careful about the testimony of former residents who were children at the time (in the section titled “Control”). It is clear they were not privy to their parents’ decisions at the time about securing government assistance though it does ably demonstrate how it appeared from the child’s point of view. This 1 1/2 hour documentary is definitely worth the time and demands your attention. 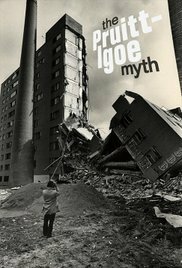 You can watch The Pruitt-Igoe Myth on YouTube here. 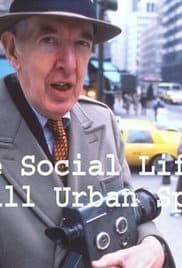 This 1980 documentary film written, directed, and starring William H. Whyte (based on his 1972 book of the same name) is still the most important documentary about architecture, urban design, and planning today. Like Jane Jacobs before him, Whyte does something that many people still oddly consider beneath them to better understand how people really use public space. He goes out and watches them. Radical, huh? Does Whyte get everything right? 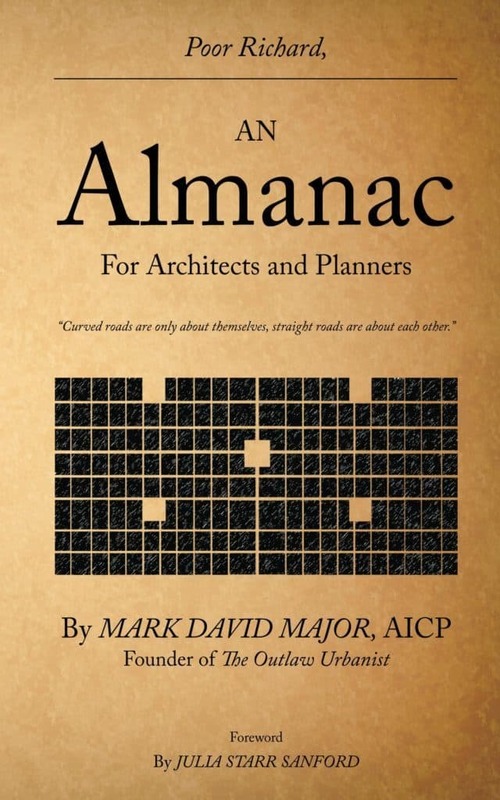 No, but he does get much right, which is more than most architects and planners can claim. You can watch The Social Life of Public Spaces on Vimeo here.